Last Friday I went to London to visit the Parliamentary Archives at Westminster. I had the opportunity to look at documents which relate to our five Norwich commissioners. I will be going back with the group tomorrow to explore the documents in more detail. 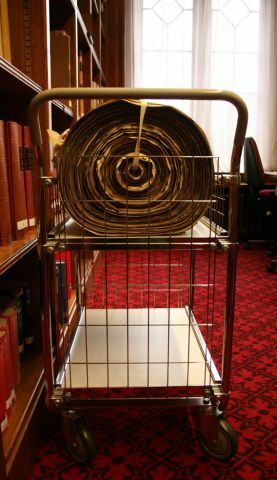 This commission is a Connecting Communities and Arts in Parliament project and as such it explores the relationship between the documents held in the two archives (through the research and production of an artwork). The Parliamentary Archives hold information relating to things which needed Royal approval (called Royal Assent I think) which includes things like roads, canals and the introduction of gas lighting for example. 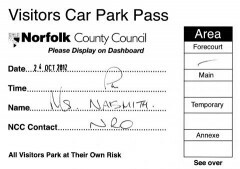 Our commissioners were civically very active in Norwich but their names can also be found in the Parliamentary archives supporting innovation in terms of petitions for roads and such like. I hope we happen across new things which may help us to view the commissioners in a new light. During our coffee break at Expresso on St Andrews Street, I asked about Archives and their boundaries. Mari spoke about items in the Parliamentary Archive and how they are catalogued in relation to the context of the archive. For example I had been searching the on-line catalogue for our commissioners but it came back showing no results, that is because items are catalogued according to Act or Petition for example. It’s not to say they don’t feature in the archive its simply that to catalogue all the information and make it searchable is a huge task and not likely to happen anytime soon, if ever. It means having to look physically at documents and reading them, the old fashioned way. The digital age has given us greater access than ever to search for things but with historical research it regularly comes down to looking at things directly and discovering for ourselves. 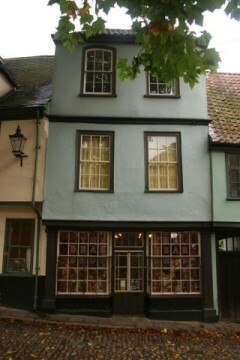 The last stop on our walking tour was Elm Hill. In some ways De Hague has become a favourite commissioner, he worked as an attorney with his father at number 5, across the road he was church overseer and then warden at St Peter Hungate. He seemed to do good work, was interested in art and literature but also in the care for the poor. A little way down the hill he lived at number 18 as drawn by Henry Ninham. 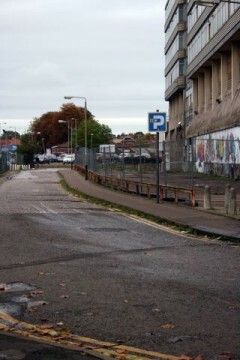 I had identified Crown Court also on Elm Hill as a place to look at but could not recall the reason why. It was, now I have checked my own and one of the groups set on notes, where the United Society of Friars met for their discussions of art, literature and the soup kitchen provision they set up. 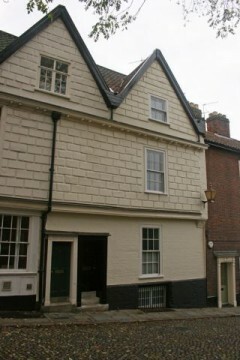 Elm hill is one of Norwich’s best known historical streets which narrowly avoided being demolished in the 1930’s slum clearances. The afternoon was spent back at NRO, where we looked at the wills for the 5 commissioners. I found the handwriting very difficult to read, the group did much better and we learnt something of the generosity of the commissioners and of course the fact they had money to bequeath. These interconnected people, places, groups and events unite these 5 men and in some cases their extended family to each other. How I approach the construction of this piece (‘the art work’) is something I am going to consider on Monday. On my way to meet the group at Anglia Square yesterday I walked along Botolph Street, as Thomas Bland (father of one of our commissioners Michael) lived in this road in 1783 according to the Chase directory. Sovereign House is now one of the areas more infamous landmarks, built in the 1960’s its a fantastic brutalist building which I am hoping can be re-invented rather than demolished. Of course the longer the debate goes on the more the building degrades, its now a well used canvas for graffiti artists. The construction materials of the 1960 are fairing less well than the stone and brick work of earlier times. I look out on the building from my studio and I rather enjoy its imposing nature. An email inquiry I sent to St Augustine’s church, was kindly forwarded to a local historian, Stewart McLaren who has written the church guidebook. Stuart met us at the church and spoke to us about Elisha De Hague, and his connection with the parish. 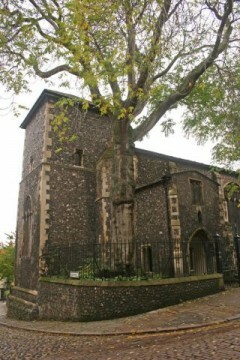 De Hague was an overseer at another church on Elm Hill and later a church warden so why was he buried at St Augustine’s. His father, also Elisa (which has led to some complications when researching) has a tomb there, in which our Elisha also lies. From the church we made the short walk along Gildengate to the Quaker Burial Ground. 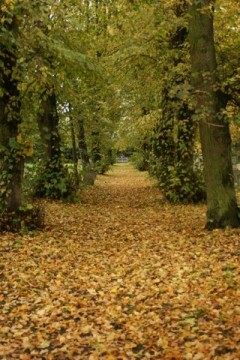 It is a beautiful place with an avenue of trees. There were gravestones within the ground but records show that Gravestones were not considered to be appropriate. We are yet to discover why and what shift occurred as there are gravestones to be seen which date from more recent times. St Andrews Hall was next on the list and we went to look at the civic portraits. St Andrews and Blackfriars Halls house the largest collection of civic portraits (some of which should be in the guildhall by all accounts). Alas our characters were not represented there and it was suggested they could be in storage, in restoration or even on tour. Will get in touch with the Castle Museum to find out more. Today I went to a talk at NRO: Urban areas and their archives: Whose stories do they tell? Susan’s talk is connected to the current photographic exhibition by Chris Skipworth http://www.chrisskipworth.com/. The exhibition explores the NR3 area of Norwich, which most of us know as Anglia Square, Magdalene Street, St Augustines and so on in Norwich. The work captures everyday scenes from work carried out creating a new gyratory road system, pretty much just outside the building that houses my studio. The talk explores the differences between rural and urban archives, with the latter being more extensive, due to urban areas being subject to more rapid change, and these changes being recorded. The uneven picture of archives was also discussed and the question about whose stories do they tell. This relates to my earlier post about The Blue Plaque scheme, with only eminent people being considered – what about everyday people? The everyday is a reoccurring theme in my practice investigations, I’m always interested in everyday events and the objects associated with their lives. Susan showed some images from a personal diary, demonstrating the details of both personal and perhaps newsworthy items combined in one document. Towards the end of the talk Susan spoke about Administrative processes + an event = a document. 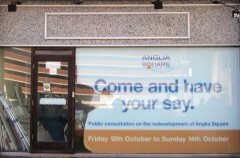 It was also mentioned how archives don’t have tidy boundaries and that by coincidence is a topic for discussion on tomorrows walking tour which we start, again coincidentally in Anglia Square. Those historical plaques, the round ones, yes usually blue but sometimes grey, brown, maroon seem to be everywhere. Briefly describing information about people, usually of some social standing. They are informative, physical, no Internet connection required, low tech and therefore immediate. 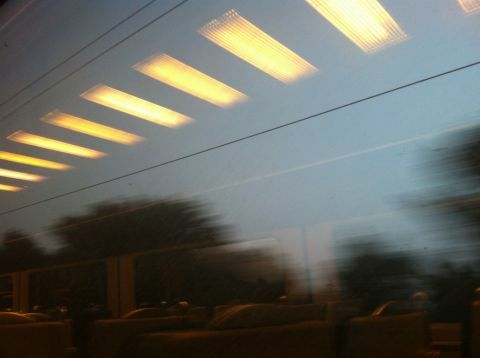 They also relate to the context in which they are found, they are all about location and activities. I quite like them and of course Gavin Turk’s classic work Cave http://gavinturk.com/artworks/image/10/ is well worth a look as well. 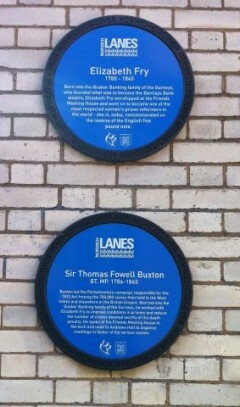 The plaques vary in colour, text, design and size and are a number of different schemes, some local, some national. 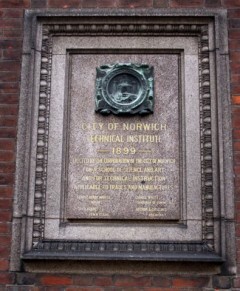 They build on historical traditions of marking places and buildings, like the one found on Norwich University College of the Arts Building in George Street. Where as this plague would have been installed when the building was completed the circular plaques are later additions. I had no idea how old ‘The Blue Plaque’ scheme was until I looked at the English Heritage website. In fact the first plaque was maroon with a highly patterned border. First proposed in 1883, the premise was to make a link between building and person http://www.english-heritage.org.uk/discover/blue-p… . There is a comprehensive procedure for proposing a plaque and focuses on the person being an ‘eminent figure (as considered by members of their own profession or calling), having made an important positive contribution to human welfare or happiness’ and so the list goes on. It takes between four – six years from initial proposal to its installation (if successful) but anyone can make a suggestion. 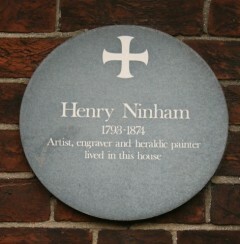 I’m unsure what scheme the Henry Ninham plaque belongs to, but its located on a building on Chapelfield North Road. In a book Wendy was looking at last week at NRO, A Prospect of Norwich by George Nobbs there is a work by Henry Ninham of 18 Elm Hill, which was described as the home of Elisha De Hague. Our information shows he lived at number 5, we shall investigate tomorrow as we will go that way on our walking tour part 2.